While we’re up on your roof, let Texas Star Roofing attend to your chimney repairs. We’re experienced in replacing siding; repairing the mortar cap on masonry chimneys; applying silicone sealants to mortar joints that are failing; re-flashing the chimney; and installing custom-made sheet metal chimney caps. The main advantage of dealing with us when your chimney has issues, is that we’re at home on your roof— and won’t damage the roof itself while working on the chimney. Chimneys are part of what make many homes, rustic, attractive, and “homey.” But like any part of your house, they require upkeep from time to time. It isn’t exactly a do-it-yourself chore for most people and most homes. Chimney repair goes well beyond just simple cleaning and sweeping. In many states it requires a registered home improvement dallas roofing contractor to do the repairs. In any case, if you want it done and done right, your best bet is to call the professionals. Prior to picking a contractor to handle your Chimney repairs, here are a few things to keep in mind. 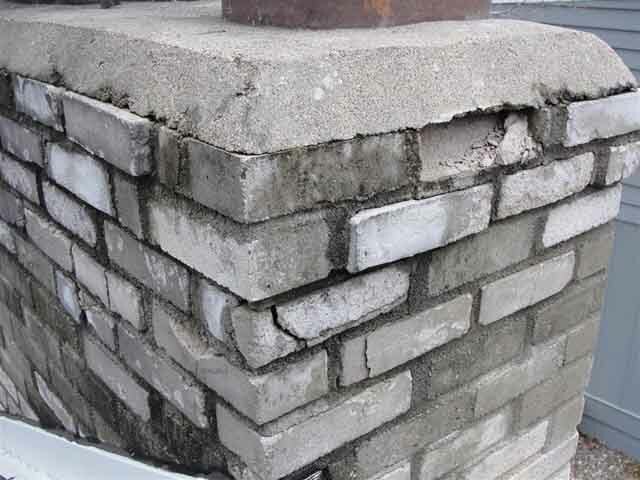 Make sure proper building permits are included in any discussion of fixing or replacing any damaged chimney parts. A skilled contractor will be knowledgeable about these things, and provide you with quick, precise answers. Many issues with your chimney may not be visible from the exterior of the home. Dallas roofing contractors will make a proper inspection of the entire chimney and walk you through a thorough recommendation on corrective actions you can take. The product of incomplete combustion is soot, and this is what can build up in chimneys. This soot contains sulfur and carbon. The sulfur in particular is what can mix with rain water, absorb into the chimney, and eventually cause extensive deterioration of the structure. Like brushing your teeth, a regular cleaning of the chimney can help prevent soot deposits from slowly deteriorating your chimney. Think of the soot as tartar that can build up and eventually causes cavities. If you do not have regular cleanings and the occasional maintenance upkeep to your chimney, the soot can eventually result in much more costly maintenance costs. Don’t let it get so bad that you need a “root canal” for your chimney. Stay conscious of needed maintenance and improvements and call the professionals.